This gypsy jazz guitar lesson is an introduction to “La Pompe”, the typical rhythm guitar strumming used in gypsy jazz, aka Manouche. 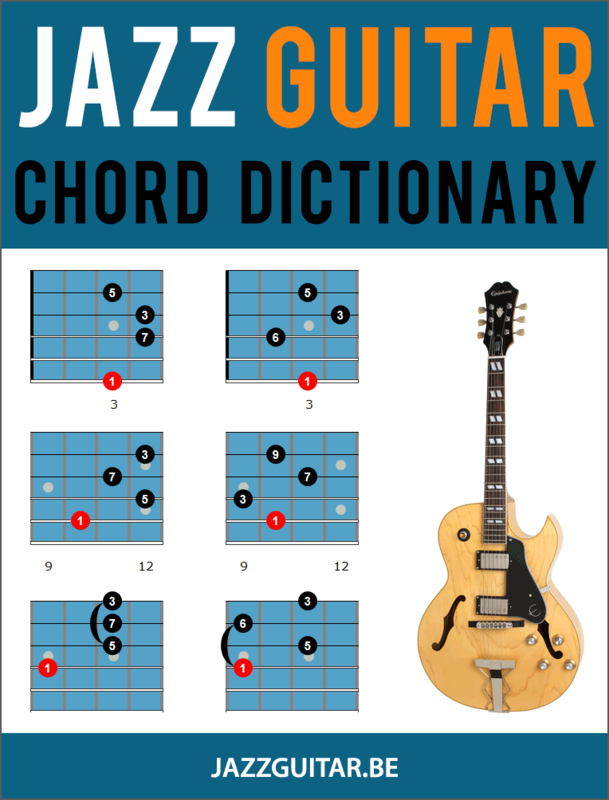 You will learn how to play chords and chord progressions in the gypsy jazz style. Mastering La Pompe requires daily training. Practice the steps outlined in this lesson slowly until you feel comfortable with the technique. How the basic chord accompaniment technique works is best seen in the video above, but also read through the following tutorial for more tips. Play an upstroke, then down stroke and quickly move your right hand towards the upper part of your guitar body, so that you’ll finish this movement with your right hand up, close to the upper part of your guitar body. Emphasize the sound of the lower strings more than the sound of the upper strings. Step 2 is a fast down stroke, also called the “slap”. Emphasize the sound of the upper strings more than the sound of the lower strings. You use your elbow and not your wrist. Your wrist is slightly bent. You hit all of the strings. You are making a fast jump up at the end of the first bit. You freeze after each movement and are not making unnecessary movements. Here’s the chord that you can see at 3:16 in the video, a G6add9 (or G13). This chord sounds nice and full, but can be hard to finger for some because the bass note is fingered with the thumb and there is a barré on the 4th and 5th string with the second finger. If this chord is too hard for you at the moment, use the G6 from the first bar of the first chord progression below. Hi! Is available also the score of the intro you play at the beginning of the video? Thanks!